Holiday Tots 12 Days – follow us on Facebook and Instagram to be in with a chance of winning some amazing Family Friendly prizes! 12 prizes worth over £2000 in total! Prizes include a family holiday to The Valley in Cornwall, family weekend camping tickets for Into The Trees festival, a term of baby swimming lessons and under water photo shoot with Turtle Tots, Sleepyhead Grand and much more for you and your little ones. Follow us on Facebook and Instagram to be in with a chance of winning each day! Love family time? think Holiday Tots! Win a short break for a family of four at The Valley in Cornwall, a picturesque gated hamlet of luxury self-catering holiday cottages. This prize includes 3 nights (if arriving on a Friday) or 4 nights (if arriving on a Monday) in one of their 5 star gold, 2 bed cottages for a family of 4. *Excludes Whitsun Half Term and Summer holidays. If your family likes a family festival then this prize is for you and it’s worth over £375! Birthing Calmly: £75 voucher for a private Baby Massage Course or use towards a full price Hypnobirthing Class in Hertford. Hertford Theatre: 4 tickets to The Astonishing Adventures of Pinocchio on Sunday 30th December, 11am plus a family cinema pass to a film of the winner’s choice in our January-February cinema season. Tidy Tot: disposable bibs for messy eaters. Over £100 worth of Cuddledry goodies to make bath time even more fun! We have a great Christmas bundle up for grabs – with an assortment of goodies perfect for traveling and visiting family and friends this Christmas. Competition ends 13th December midnight. We’ve all been there. You’ve thrown the dinner party of dreams. Everything was flawless… from the pastries that didn’t burn, to the scented candles that transported your guests to Hawaii, to the dress that made you feel invincible. Your guests have begun to leave, reluctantly, as the music winds down and you give yourself a figurative and literal pat on the back. You are the hostess the mostess, people will be talking about your lemon posset for years, you could lead a seminar in how to throw the perfect dinner party. There’s just one nagging feeling. One single thing that consumes you as you retire to bed. You have not taken a single photograph. We’ve all felt this same sinking feeling at the end of a holiday too, right? We all know that being in the moment means putting down our phones more but taking photographs (especially the old fashioned kind) really is a wonderful way to remember a holiday with the little ones, capture that togetherness, and show your adult children what they used to wear…. But it’s also challenging to get your family (who are we kidding…) kids, to sit still and smile at the same time. Here are our best tips on how to capture those perfect family moments which then allows you to create a photo book worth putting on display. We’re sure you’ve heard this before, but what do we really mean? It means stop worrying about having everyone in shot, or dragging people from the pool for picture time. You’re bound to have much more success if you simply see a moment that’s worth capturing, and go for it! Toddlers are tricky to pin down and babies are unpredictable, so it’s best to seize the moment when you get the chance. Parents are forever chasing their little ones with the camera and rarely in shot. This has to change! Make sure to hand the camera to your partner, mum or friend and ask them to take a photo of you and your child when you least expect it. Babies and toddlers change every single day. From their eyelashes to their toes, every detail is something you will want to look back on. And a relaxing holiday is the perfect time to get out your camera and zoom in on these little features, whether they’re playing on the beach, or asleep at lunch. Choose your moment well and you will reap the benefits. It’s no good trying to get a tired, hungry or fussy baby or toddler to sit still and look charming. Make sure you take pictures throughout the day, have your camera to hand at all times, so you can whip it out when the right moment strikes. Instead of stopping the conversation and asking them to wait while you snap them, continue chatting away and talking to them as you take pictures. This way you engage them and encourage them to be as natural as possible without making them self-conscious in front of a camera. We hope that helps! Most importantly enjoy all that precious time with your family and don’t stress. Once you return and collect your best images, it’s simple and enjoyable to transform them into a photo book with Bob Books. For your chance to win a holiday in Brittany for a family of four just visit our competition page on Holiday Tots. There are seven stunning child-friendly holiday cottages to choose from all with a different character, situated in acres of farmland perfect for a toddler holiday in Brittany. Located only 10/15 minutes from the sea and several lovely sandy beaches they offer a fabulous base for a family holiday. Many have enclosed private gardens safe for toddlers with wonderful countryside views. Just 3km away is the owners farm restaurant and the children will love the animals and pony rides. Cozyosko Multifunction Footmuff review – and your chance to win one too! The product is of great quality and washes really well. It also dries quite quickly which is great because I would be lost without it on our walks. The product is very easy to use, it fits in any 5-point harness pram and you just buckle the baby up, cover with Cozyosko and zip up the front. There is an extra pouch over the feet area which keeps Georgia extra warm. It is basically a blanket that you can use to keep your babies (up to 3 years old) snug in their pram whilst being securely fastened. It also opens up into a square play mat whilst out and about. I received the Cozyosko just before the winter. After an amazing summer, the drop in temperature was a total shock to the system and as a new mum (Georgia was only 2-3 months old) I had no idea what to buy to keep her warm. This product was an absolute lifesaver when we went out for our walks. I didn’t feel I needed to layer her up which was great when we got to my local coffee shop as I didn’t need to undress her and pile on the layers again before we left. The Cozyosko is warm and a product I would highly recommend. The designs are all very bright and colourful (which I love) but perhaps people may prefer subtle tone/design. At approx GBP40 this is a mid-range footmuff. There are others out there that are cheaper but they don’t double as a play mat. NB: We have found some cheaper on Amazon as the product is not readily available in the UK now – bargains to be had if you can find them! Doubles as a blanket and an all-in-one snow suit. Cozyosko is an Australian company and the Cosey Toes Footmuff is their signature product winning Practical Parenting awards. The Cozyosko Multifunction Footmuff comes in a stunning array of colours and designs all of which are bright, fun and bold. There are UK stockists offering varying prices including Amazon. Standon Calling festival is being held at the end of July in the stunning Lordship grounds of Hertfordshire and this year’s theme is Legends Of The Lost Seas! There is an extensive family programme this year: from baby multi-sensory raves and street dance classes to crafts, kids-only trapeze and yoga. If the weather holds, the outdoor swimming pool is heated and the family swim sessions are sure to be a big hit! Standon Calling opens its doors early this year on Thursday 28th July with ‘The Welcome Feast’ with family games, camp fire sing-songs and specially curated menus from a variety of chefs. Readings from children’s authors, music performances, pop up circus, puppet and theatre performances, evening campfire storytelling, street dance, juggling workshops, arts, crafts, dressing up and much more. There is also a dedicated family campsite located away from the main areas for when it is night night time. Dogs are welcome at Standon Calling Festival too, so if you want to bring your pooch why not enter him or her into the annual dog show! Always a popular event. For your chance to win a family set of five tickets (worth over £350!) just visit the Holiday Tots competition page. For more details about Standon Calling festival, camping options and to book tickets visit the Standon Calling festival website. Competition closes at midnight on 13th July, winner will be notified by email after the closing date. Good Luck! In the third of our family festival series we look at this year’s Family Sunday at Henley Festival. ‘Not just for grownups’, Family Sunday promises fun for all ages. We also have a family set of five tickets in our competition on the Holiday Tots website. There are children’s entertainers, musicians, comedians, magicians and street entertainers. Mad scientists will be electrocuting members of the audience and there will be superheroes too! So if dipping your toe into a festival for a day, rather than camping overnight, appeals to you then Henley Family Sunday just might tick the box, oh and dressing up for day is obligatory! Sadly we are camping at Blackberry Wood otherwise we definitely would be visiting this one! The organisers have kindly offered a family ticket for five for the Family Sunday as a competition prize. 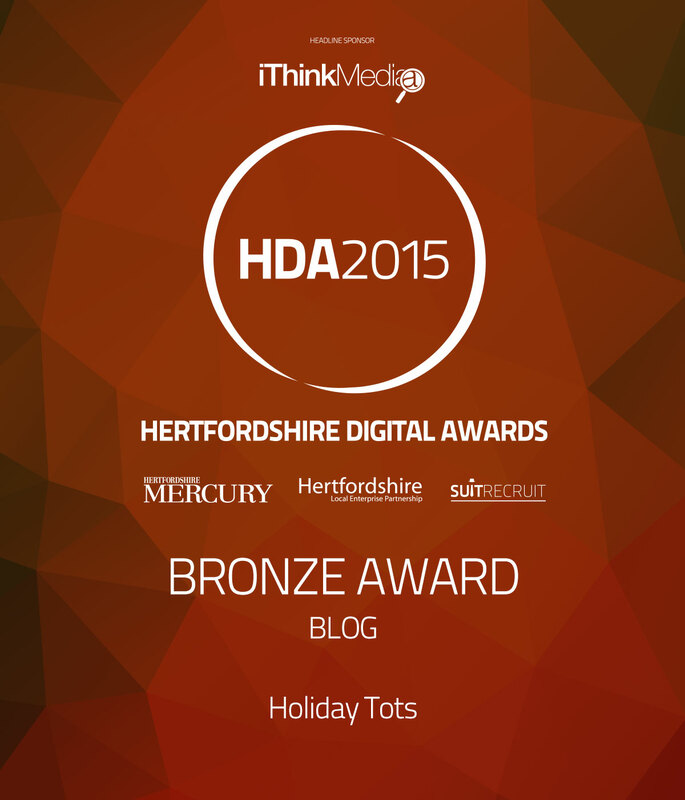 Visit the Holiday Tots competition page where you will find all the details. Good Luck! The competition will close on Friday 26th May.